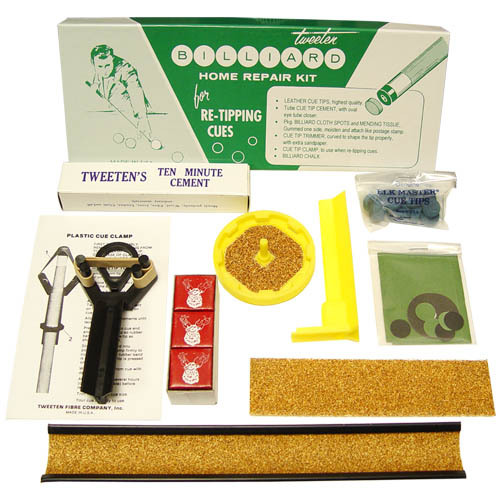 The Tweeten Home Repair Kit contains cement, cue tips, a tip clamp, cue top sander, scuffer, chalk, spots, backers, and more! 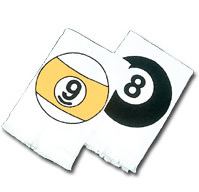 It is very handy to have around. You will find many uses for your Tweeten Home Repair Kit.